Nell Osborne Williams, 84, of Canyon, who plucked chickens on the family farm as a child and co-owned a newspaper as an adult, died Thursday, Nov. 15, 2018, after a long illness. Graveside services will be held at 2:00 P.M. on Sunday, Nov. 18, at Dreamland Cemetery in Canyon. A memorial service will be held at 2:00 P.M. on Friday, Nov. 23, at the First Presbyterian Church in Canyon with The Rev. Andy Blair, pastor, officiating. Nell was born in Pampa on Jan. 19, 1934, to D.W. (Dutch) Osborne and Edith Johnston Osborne. After the family moved to a farm north of the present Pantex plant, she attended schools in Panhandle and was the valedictorian of Panhandle High School. She received a B.A. in journalism from then North Texas State College, graduating with honors, and worked as a women’s reporter and then an executive secretary for the Amarillo Globe-News, where she met her husband-to-be, Donald M. Williams, a reporter. They were married at the Osborne farm near Panhandle in 1956. At the age of 10, on the farm, Nell was given a chore that she kept until she went off to college, in that time killing, cleaning, scalding and plucking something like 2,000 of the family’s Rhode Island Red chickens so her mother could fry them for dinner when the men came in from the fields at noon. “The late 1940s were good years in Panhandle and Carson County. The war was over. Doug Smith and Jack Ramey and their classmates came home. Sometimes they told their friends about the places they’d seen. Mostly, they didn’t tell anybody about the things they’d done or been through. “Doug certainly never mentioned the seven Distinguished Flying Crosses and 21 Air Medals he had earned (but didn’t receive till 1994, when his friend, John Glenn, called the right office in Washington and demanded that those decorations be sent to Doug in Panhandle. It’s useful to know an astronaut). “Not everybody got home, of course. The King Community, where I grew up, sent three young men into the service. One came home. “At the end of the war, Ben and Cora McGregor’s son, Harry, was still listed as missing in action. The last time his parents and his younger brothers, Marvin and Bobby, saw him was when he buzzed the McGregors’ farmhouse and, when his mother rushed out to see what was going on, flew low enough that she could recognize him. “He headed off toward Amarillo Army Air Base to get his plane refueled and serviced. The family ‘piled into the car,’ said Cora, and drove up to meet him as fast as they could. The men had already been on the way from the field after seeing that plane fly low over the house for the third time. His folks treasured the memory of that visit. Nell was a reporter for The Canyon News in the early 1970s. Ten years later, when she and her husband lived in Oxford, Miss., she interviewed the authors James Dickey, William Styron and Willie Morris for The Oxford Eagle, where she was a reporter. In the 1990s, Nell worked as a medical transcriptionist for an ophthalmological clinic in Wichita, Kan. That city was one of 14 in seven states and Mexico where the Williamses lived, and of course Nell, who disliked moving, never protested. For seven months in the early 1980s, Nell and her husband owned and produced The Miami Chief, a weekly paper in the small Panhandle town where both sets of her grandparents had lived when she was a child. Nell did most of the work, and she had a fine time getting reacquainted with Miami. Unfortunately, the town just wasn’t big enough to support a profitable paper. Nell had a quick, casual wit, a retentive memory and a wide vocabulary. Her husband, a writer with a Ph.D. in English, often asked her the meaning of some unusual word—“pathognomonic” and “ophidian,” for instance—nearly always getting it, and with precision. Once when the two were walking in an Amarillo neighborhood and saw a new house that was built on a circular plan, he asked, “People who live in round houses should not throw . . .?” She shot back, “Square dances.” When they had tacked up a large wall map of the world in their house, he wondered aloud what they could write in the wide margins so as not to waste the space. “Here be dragons!” she suggested. She delighted in long and hard-fought Scrabble games. She seldom won because she lacked the necessary killer instinct, but she would have fits of the giggles at chance combinations of letters like "antfeed" and "murgles." 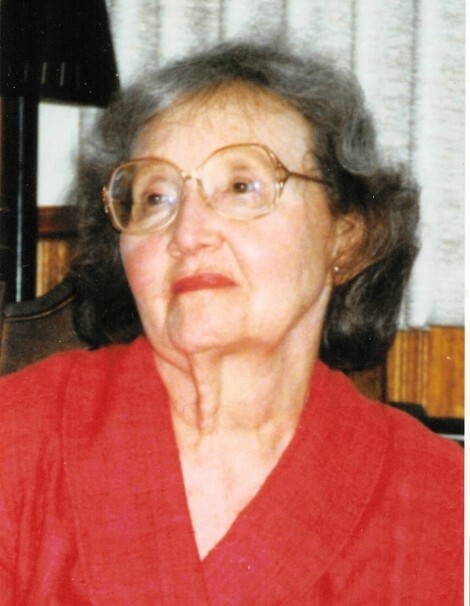 For years, when the family lived on Sunset Terrace in Amarillo, she planted tulip bulbs and tended the plants, which produced red and yellow blooms. One Sunday a year, they also bore plastic Easter eggs filled with chocolates, which her delighted children found hidden among the leaves. For more than 55 years, Nell cooked, cleaned, cared for the two Williams children, and did nearly everything else for her family, often also holding down part-time or full-time jobs. She made the casseroles and pastas that her husband liked, never hinting until many years later, when he had taken over the cooking, that she didn’t much like that kind of food. In her later years, she suffered from complications of arthritis, scoliosis, flat feet, depression and, at the end, a tumor. She used a wheelchair or a walker in those years. She never complained about her workload, and rarely about her pain. “I don’t mind being dead,” she wrote late in life. “It’s the journey I’m not looking forward to. After 8? years, I can hardly ask for more, and it’s been a mostly happy life. I’d be ungrateful to ask for more. Besides, I want to know what comes next." Brought up as a Baptist, Nell moved to other denominations over the years, and for the 20 years of her residence in Canyon was a member of First Presbyterian Church there. Nell’s brother, Jim Osborne of near Panhandle, died in 2003. She is survived by her husband; a son, Andrew M. Williams of Houston; a daughter, Elizabeth Williams of Westminster, Mass. ; a brother, David Osborne of Pampa; a sister, Rosemary Crossett of Fair Oaks Ranch; and two granddaughters, Miranda and Olivia Williams, both of Houston. Cave living. Hers is a wisdom that craves air. Go pondering bloom and mineral on your way.